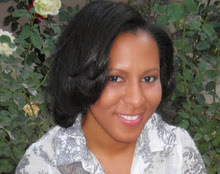 I recently became acquainted with a lovely author I hope my readers will enjoy learning more about. Lauren Marrero. Lauren, welcome to my website. Before we get started talking about your writing, I like to have our authors share a little about themselves. Where are you from, what you do for a living—if you’re not a fulltime writer, what hobbies you have. That sort of thing! I was born and raised in Southern California, but frequently escape to various parts of the globe to sample intriguing cuisine and make mischief. I have been all over the world examining crumbling ruins of ancient citadels and shopping in foreign bazaars. My favorite places to visit are in Eastern Europe where one can find amazing cultural events and monuments as yet unknown by most tourists. When not writing you can find me hiking, reading and trying new recipes. Before I ask whether or not you can adopt me, what do you do for fun? EAT! I am an undeniable, unrepentant foodie, constantly on the lookout for new restaurants. I love the challenge of discovering the best vegetarian cuisine. My favorites are the small mom-and-pop establishments that no one has heard of yet. What’s your favorite animal, color, season of the year? I love autumn when I get to walk around in high boots and stylish hats. The fashion, the colors and weather make me want to snuggle up in front of a fire with a good book. My music tastes are dictated by emotion and can vary dramatically during the day. I might hop in the shower blasting 80’s pop, settle down to write with classical or flamenco guitars, run errands with alternative rock, and get cozy before bed with some oldies R&B. Guns & Talks. I am an action junkie and was introduced to this Korean gem by roommates in college. The first time I saw this movie I was at times rolling on the floor with laughter and also completely engrossed in the drama and love story. It can be hard to find in America, but this one is a winner. Denzel Washington consistently delivers a great performance. He is one of the few stars that I trust completely. Without knowing anything about a film, I know if Denzel is in it, I’ll be entertained. Could not agree with you more. He’s great! Now that we know you a little better as a person, let’s get into your writing! What kind of books do you write? Historical Romance is my niche, but I love to approach it from strange, interesting angles. Spies and assassins are what interest me. My debut historical romance, Seducing the Laird was released by Black Lyon Publishing, Inc. in October 2011. Tell us about your next book & when is it being published? I am currently working on the sequel to Seducing the Laird (yes ladies, he has a hot, French brother) to be released in winter, 2012. When did you start writing & why? I have always loved to tell stories. In school I would imagine my teachers as fantastic creatures, and scribble or draw humorous anecdotes in the margins of my notebooks. My math teachers always fared the worst –luckily they never found out! My two favorite genres are romance and fantasy. Fantasy novels feed my adventurous spirit, taking me across fantastic imagined worlds, while romance novels provide the deeper, human connections that I crave from literature. They represent the two sides of my character: an incurably romantic action junkie. Oscar Wilde. I love everything about his writing. He is amusing, sad, thought-provoking, entertaining and romantic. On every page are little nuggets of wisdom that I long to memorize and spout to fellow literates at opportune moments. When I write I try to infuse some of my personality into the characters. This adventure-loving girl craves excitement, danger and suspense. One of my most frequent compliments from readers is that they enjoyed every page. They felt caught up in the adventure and didn’t want to leave. That’s exactly what I love most about my favorite books. Let’s talk about your writing process and where you like to do your writing. I really tried to plot my novel through outlines and summaries, but I could never stay on track. As I write, the characters tend to take on lives of their own. Some planned action might seem ludicrous as I develop the story. It can take longer to write as I delete dialog and actions that don’t fit my evolving picture of a character, but in the end they become more real, more complex, and more personal through this process. The best places for me to write are in public. My productivity increases tremendously when surrounded by the incessant chatter of a coffee shop or study rooms of a library. I need background noise to help me focus. How do you get ideas for your stories and characters? Life is my greatest inspiration. My friends are frequently amazed by the variety of my interests. My bookcase holds everything from the SAS Survival Handbook to The Little Prince. I am as enthusiastic about camping in California’s Death Valley as trying a new back alley food truck. Everything can be inspirational, from a new acquaintance to an interesting experience. The trick is to be open and allow inspiration to come in any form. What is your editing process like and who does it? I have a wonderful editor that somehow manages to be brutally honest and supportive at the same time. Since my plots and characters are developed as I write, I find it most useful to wait until I am completely finished with the manuscript, sleep on it for a while, look at it through fresh eyes, do another edit, and then send it to my editor. That way we can focus on things like story, descriptions and character rather than simple grammatical mistakes. Best: The first time a complete stranger told me how much they enjoyed my book. Sure, I expected family and friends to be nice, but a stranger? That was when I knew I could be a professional writer. Worst: While writing my first novel I worked part-time with another aspiring writer. She had been writing for years, was still unpublished and not happy about it. When I tried to open up to her about my experiences she was not encouraging and made some very snide remarks about my chances of success. Although painful, this fueled my determination to be a success. That’s an attitude I can completely understand! What is the best/worst advice you have ever gotten about writing? Best: Don’t read the statistics; don’t believe that I have to follow someone else’s path. My success or failure has nothing to do with anyone but me. Worst: Some well-meaning friends tried to push me in the direction of very expensive advertising. Yes, I need to market, but I also need to work within my budget. Been there! What advice would you give a new author? Keep writing. There are a million things to distract you and much of it is important. But never forget your dominant intention is to be a writer. No matter what, allow yourself time to be a writer and write! Keep those in mind for a future cover! Where on-line can people find more information about you and your books? 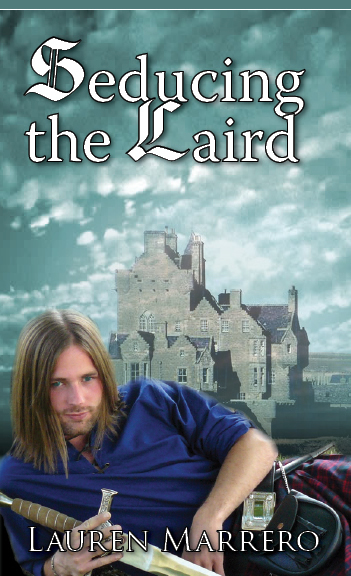 Seducing the Laird is available online at Amazon and Barnes and Noble. Lauren, I really appreciate you taking the time to talk to us. You are obviously a very bright and open person who enjoys trying new things and experiences. Those traits will bring great things to your writing! I hope you’ll keep us posted on your future offerings!